As a NC native and NASCAR fan I’ve followed Jr from the start. 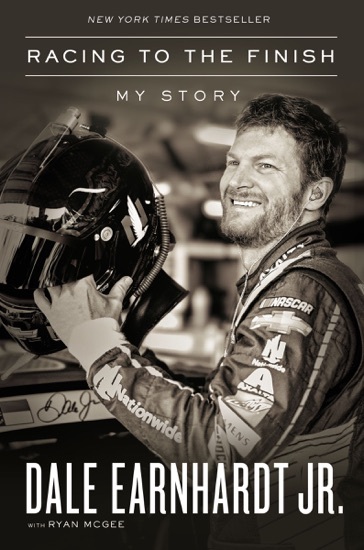 I’ve read his first book, nearly met him a few times when I had Hot Passes, and can remember most of the racing incidents described in the book. I remember thinking in his final years he was gonna hang it up because performance seemed to elude him. 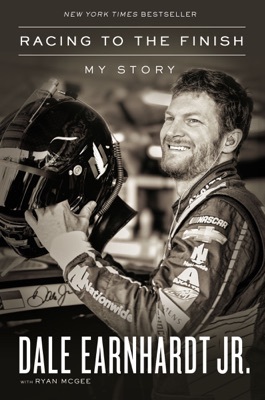 What I took away from this book was that Dale is as true a racer that has ever lived, I had no idea what was really happening as did no one else, and how large of an impact he will undoubtedly have on racing as the history books are read years from now. Dale’s contribution to the sport continues to grow much more than any trophy or stat could ever measure. I feel like I know him, if I could ever meet him I’d tell him how much I’ve enjoyed watching his story over two decades. Thanks Dale! Great read and honestly think this could change things for the better in racing and other contact sports. When friends and family hear me use the word concussion, I feel like they don’t understand. The truth is they don’t. I have suffered 4 treated concussions. The two that changed my life were handled at the UPMC Sports Center. The first coming from go-kart racing that would take everything a 10 year old was doing and bring it to a dramatic stop. And the fourth one during a game of tag football at school that left me medically unclear to do anything for over eleven months at 15 years old. I put a lot of symptoms in the concussion bin in the last 8 years and just figured that this was my life. Doctors told me I would never race again when I was 10, and at 15 I decided that I didn’t feel healthy enough to do anything that would take any chances to re-injure myself. My life for the past 8 years has been very low key. I still suffer a lot of the symptoms that I didn’t know how to explain to anybody until now. Thank you Dale. You have been my hero since I can remember and reading this book taught me that it’s time to grow up and get over my pride and get help. Your saving my life. Honest, painful, heroic...I was not a part of Junior Nation before I read his book. But now I am. Thank you, Dale, for bravely reliving all of those painful times to tell your story and in turn send a message to anyone who has suffered a head injury. Get help. Don't suffer in silence. Thank you Dale for sharing your journey! I suffered from concussions from the age of 5 to 20 and just thought my symptoms were normal. Back in the 1960’s you didn’t even go to ER so now that I am 66 my life long dizziness makes sense. I am so happy for you and Amy and your little blessing Isla! Such an eye opener. Very relatable book for myself, kept me interest. Glad it was published!